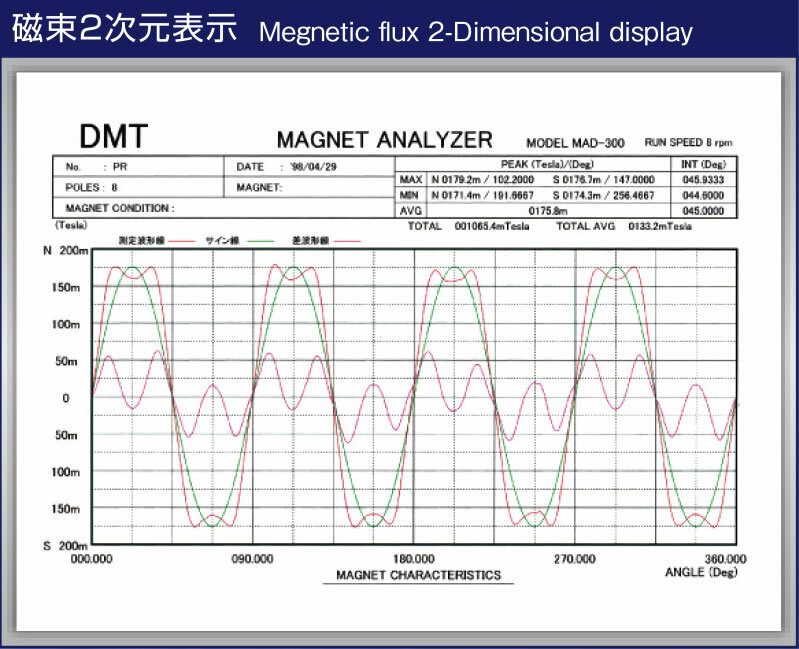 An analysis of the magnetizing ripple is needed every day. Everything will start from here. 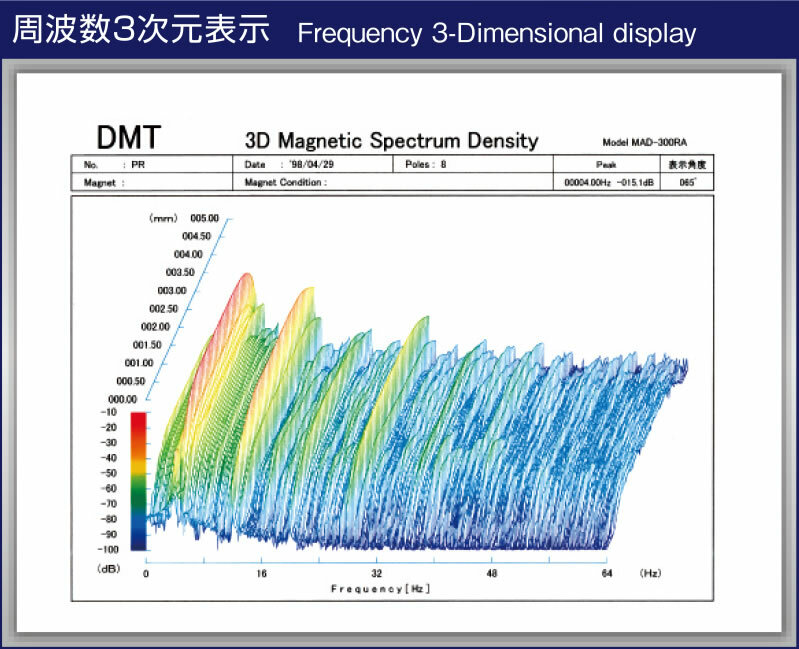 Since miniaturization and high accuracy is the most important theme in the motor industry, a progression in the field of magnetizing ripple analysis is demanded. 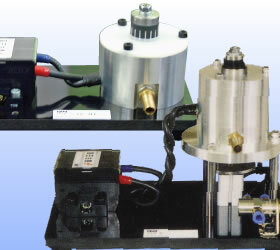 Taking advantage of our spindle motor design experiences, we develop and manufacture many magnet analyzers with high accuracy, functionality, and operability. 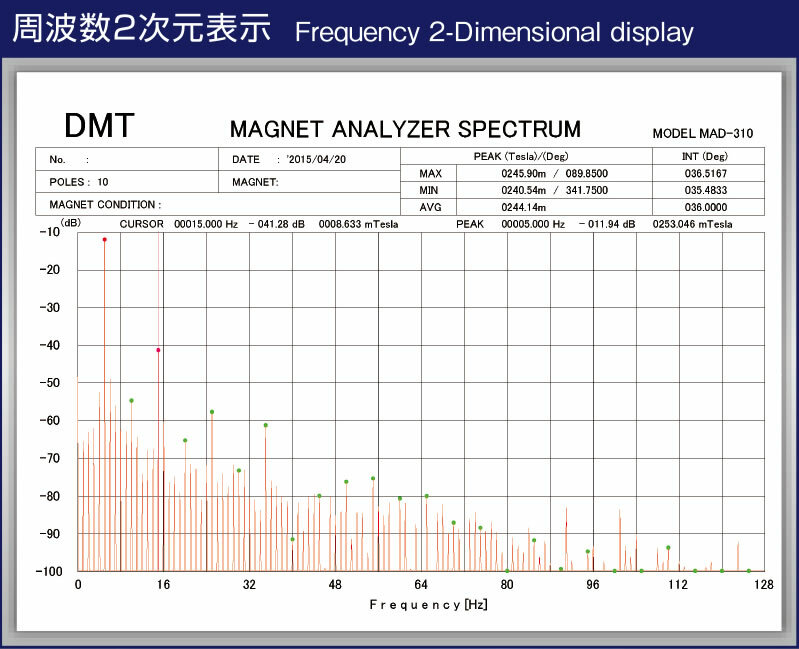 We also produce a magnet analyzer which fulfills each customer's needs. 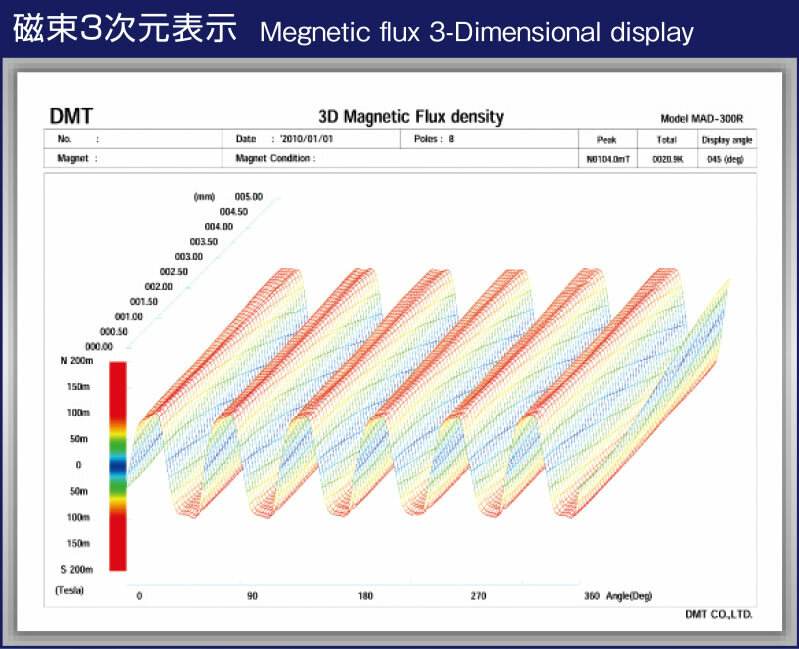 In FSMA-1500, it is necessary to measure magnetic flux density in X, Y, Z three axis directions in magnetic measurement of a single magnet not a closed magnetic path such as a sensor magnet. 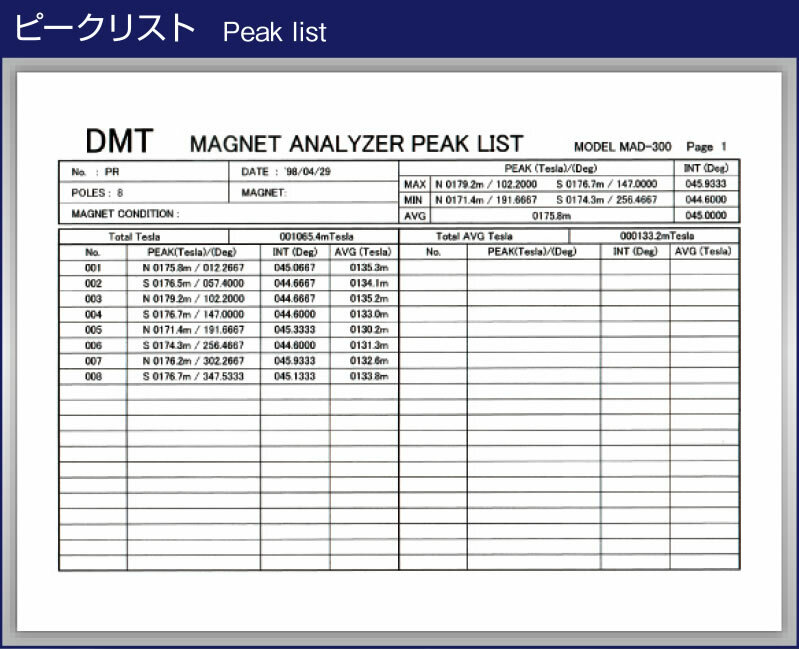 We developed a planar type 3-axis magnet analyzer pursuing accuracy, operability, and analyticity. 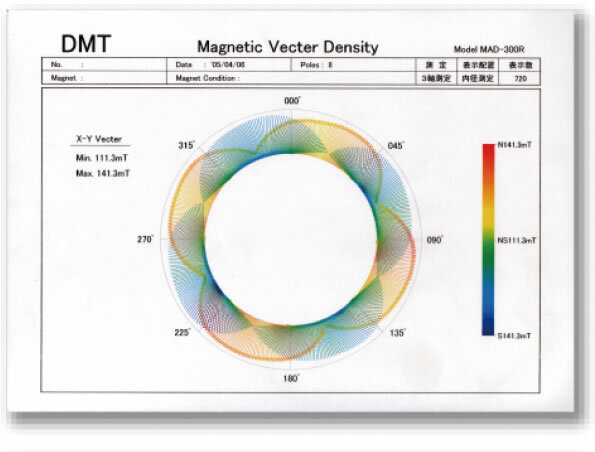 It is ideal for magnetic vector analysis of sensor magnet. 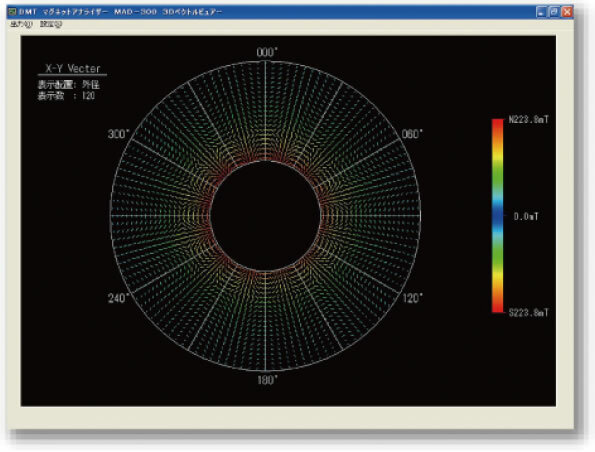 The measured vector data waveform can be displayed while rotating 360° using the mouse. Detailed data of an arbitrary point can be displayed by clicking the vector waveform shape. 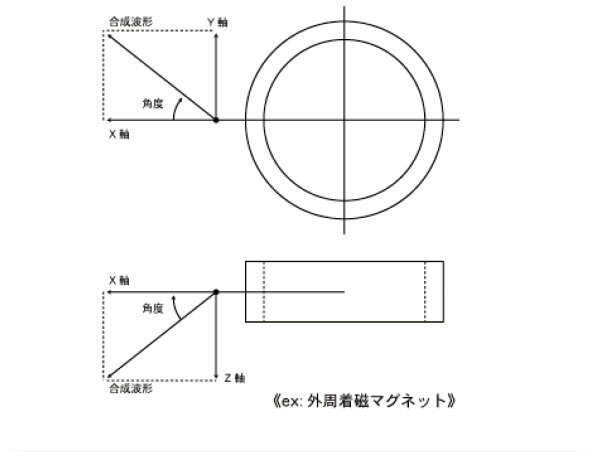 Fine adjustment of slider position by JOG dial is possible (moving minimum resolution 0.01 mm). The MAD-310 RAS has a memory function of X, Y, Z axis coordinates, which pursues reproducibility so that anyone can obtain the same measured value at any time. Our proprietary ultrafine probe F-075 which is effective for proximity measurement of magnetic flux (width 0.6 mm × thickness 0.28 mm) can also be used. Memory function and program measurement of X, Y, Z coordinates are possible. 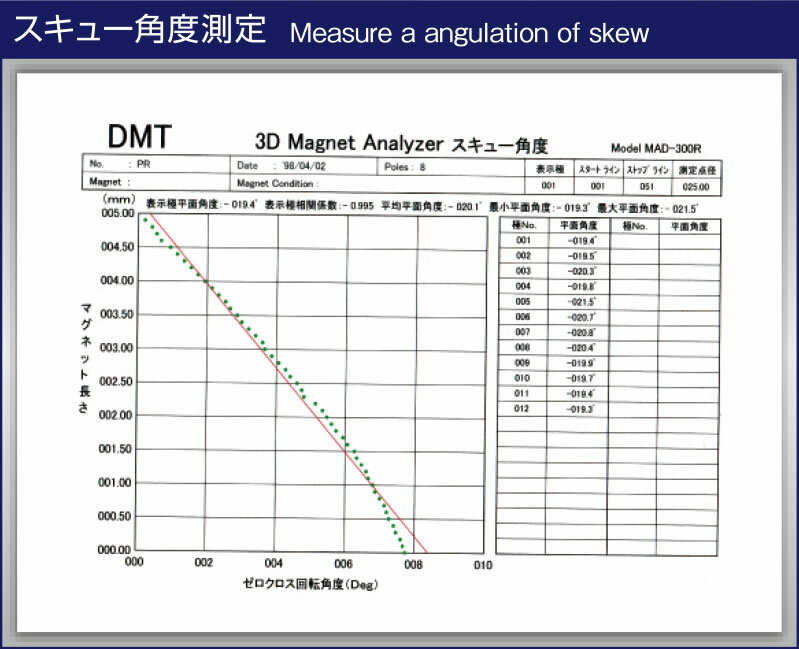 Skew angle measurement is possible (patented). 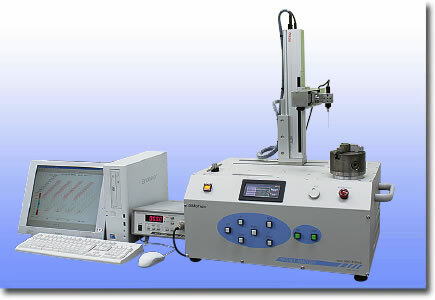 Up to 200 mm for automatic movement and up to 0.01 mm for resolution are possible. 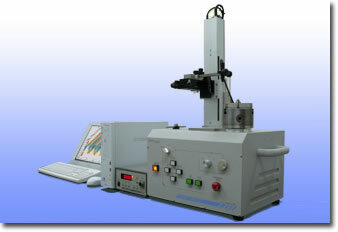 The ultrafine probe F-075 (width 0.6 mm × thickness 0.28 mm) can be used. 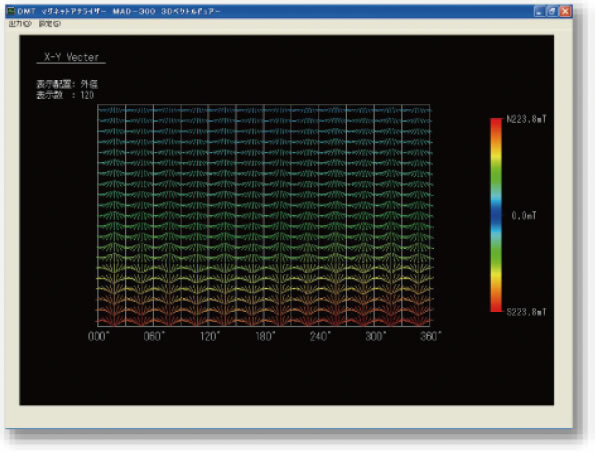 Synthesis waveform display in two axis directions (three axis directions) is possible. 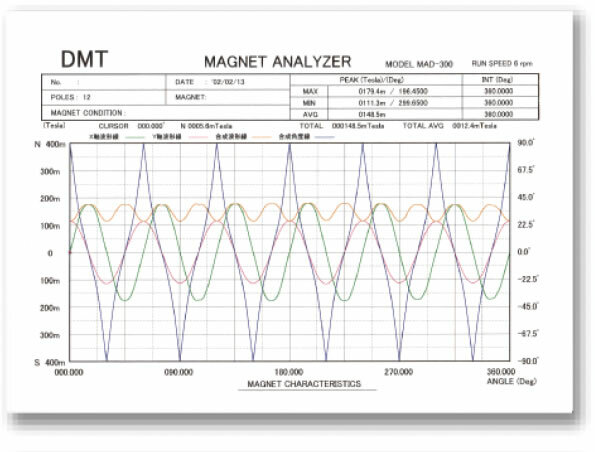 MAD 310R/310RA/310A are magnet analyzers which automatically measure the magnetic-flux distribution of the magnetized cylindrical magnets, and analyze the magnetizing ripple, amount of magnetic-flux on each pole, magnetizing angles, and size of the area. This can be used as a 2D display device. It is also possible to pick-up data from a 3D ripple to a 2D ripple. Automatic pointing function is optional. This can forward the data to a spreadsheet software. 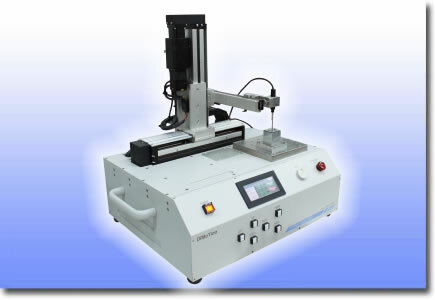 The ultra superfine probe F-075 (width 0.6mm × thick 0.28mm) can be used. 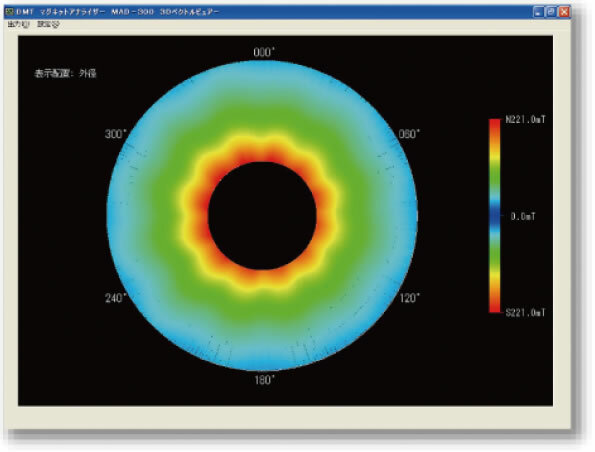 This can compare the data to a SIN ripple and display the difference. 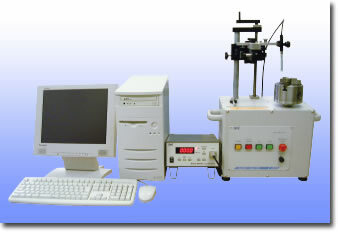 Measurement at any points is possible with the horizontal cursor. This can display the data of the close list with the vertical cursor. It is possible to transfer the ripple to any points. This can display 6 samples at the same time with the memory function. *The specification and the exterior might be changed without notice.